About: Recreational cannabis became legal federally in Canada on 17 October 2018. What are the ramifications for existing cannabis businesses? About: The Creation of cannabis prohibition has led to mass incarcerations, long sentences in prison, the prison industry complex, the privatization of prisons, and prison/slave labor. 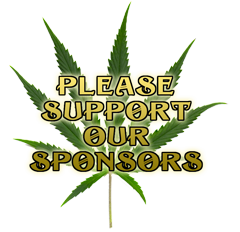 The Rhetoric and Propaganda of cannabis prohibition has created unjust cannabis laws, mass regulation of business and private use, and mass regulation between doctor and patients rights. The Bureaucracy of cannabis prohibition has also separated, via an arbitrary number created by the government, Industrial Hemp and Cannabis. We have a Personal Responsibility to be the change we want to see! Vote! Take Action! Call out our government officials – the people who represent us – for allowing bad laws. Run for government office yourself! 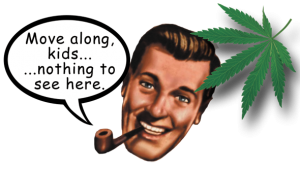 About: Cannabis has long been associated with American counterculture and social movements. Examining the history of American drug prohibition reveals the sociopolitical motivations behind cannabis criminalization. As the war on [some people who use certain] drugs continues to drag on, attitudes towards cannabis and its use are changing rapidly. These changing attitudes are fueling massive shifts in how cannabis is conceptualized and handled by different groups of people, from politicians, to growers, to users, and even non-users. As social perceptions shift and we begin to see the light at the end of the tunnel, we must make sure it’s the glimmer of a new world, and not an oncoming train. After decades of state repression, mass incarceration, and social stigma, cannabis is going corporate, largely thanks to a mixture of medical and economic arguments combined with a groundswell of popular support. This landscape is rapidly changing and in ways that many did not suspect. From the bizarre patchwork of laws and regulations to the loss of livelihoods for long-time black market participants, to the re-orientation of radical social potential into market commodities, the message is clear: be careful what you wish for. This talk will attempt to highlight a number of the pitfalls that cannabis legalization has encountered in the US, in the hopes that highlighting these issues can inform drug policy in areas that have not yet experienced these shifts. About: Fiona Patten MP discusses how cannabis law reform has reached a tipping point in Australia – with the public, with the media, and now, with politicians of all stripes. Fiona has, over the last few years, toured many jurisdictions that have legalised cannabis, most recently for the wide ranging Drug Law Reform Joint Committee in the Victorian Parliament, and she will share “high points” from her cannabis travels. She’ll also detail her plans for legalisation in Victoria, commencing with a debate for a committee to pave the way of legislation, before the Victorian Upper House in just a few weeks – May 22. About: With the propensity to alter the world around us in ways previously not possible, we’ve created some rather unique challenges. The policy of prohibition has never quite been sure what it’s actually after. It started with a small collection of rather popular plants and has extended itself into the territory of the happenings of our own minds. The past two decades have seen an explosion of never before seen substances being sold as ‘legal highs’. The most popular being those substances that have an affinity to the same neural networks that cannabis so loves to delight. Nick has been watching as more and more substances have come to market, only to be predictably banned. Substance and policy have evolved together without any consideration for the “Why?” That’s the questions we’ll be asking: Why did these substances emerge? Why did they experience popularity? Why did they receive the policy response they got? Why are we where we are now? About: The “Entourage Effect” was proposed in 1998 to describe possible synergies among the many chemical components present in the cannabis plant to amplify its pharmacological effects. It seems reasonable to extend the concept to explain the diverse experiential and physiological effects of cannabis, which (presumably) are intimately related to its pharmacology. But, given our limited understanding of the brain-mind-body relationship and the effects of cannabis on their delicate balance, can we argue against the use of purified (or even synthesised) single compounds to alter consciousness and heal physical and mental health conditions? This talk will walk us through the main concepts and then examine some further-reaching implications of the fascinating Entourage Effect. Open all weekend: Medical Cannabis meeting place, advice and education from local and visiting experts, as well as herbal extraction and cooking demonstrations. Considering MardiGrass is a great national and international melting pot, it is a perfect opportunity to have an open meeting for all those currently advocating for medicinal cannabis access. We are doing our community a disservice by not having open and clear communication on the number and variety of cannabis users in Australia. We want this community united like never before and to make ALL voices across Australia be heard: healers, advocates and users. About: Elvy will outline a history of cannabis prohibition worldwide, and how her personal experience in using cannabis to treat her Glaucoma has turned out to be a significant part of that history. A number of decades ago her home was raided, she was arrested, but the Court dismissed the charges. This led to Elvy being placed in the IND Compassionate Use program: where she receives 300 x 1 gram cannabis joints monthly from the US Federal Government. She will reflect on how this privilege has created a responsibility for her educate people about cannabis, in all its uses, from medicinal through to recreational. About: Charly will offer advice on the safe use of recreational and medicinal cannabis while also educating about the many industrial applications of the hemp plant. Charly will share a brief history of the non-profit organisation ‘The Cannabis College’ and explore the importance of education in today & tomorrow’s cannabis industry to strive for higher quality standards. Charly will also give us an insight into the Dutch Drug Law. About: A workshop canvassing police powers, advice on how to deal with them in different situations such as a personal search or roadside drug testing, and how to make a complaint. 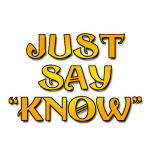 About: According to a number of long-time glassblowers, glass pipemaking should be considered one of the (if not the) most significant movements in American glassmaking history. The modern lineage of glass pipemaking is generally considered to start in the 1970’s, with Bob Snodgrass accidentally discovering how to make color-changing pipes while following the Grateful Dead on tour. The past 40+ years have seen an explosion in the styles, approaches, and legitimacy of functional glass art. While many pipemakers still view themselves as “degenerate artists,” mainstream acceptance of pipes as an artform continues to increase. This talk will offer historical perspectives on American pipemaking, exploring different categories of functional borosilicate glassware and examining various influences, from scientific glassblowing to hotshops and more. In addition to these perspectives, this talk will also attempt to highlight common flaws in glassware that collectors should be aware of and will provide some tips and approaches for assessing borosilicate glassware on the market. Topic: Redbeard-a-rama….. What I did, and How I Done It. 2.30 pm : Drug Testing Driver Saliva: Safer Roads or Bigger Brother? Panel Discussion: Roadside saliva drug testing is an increasingly commonplace strategy used by police to apparently address road safety issues. However, there is very little research concerning the effectiveness is a zero tolerance policy of traces of cannabis in saliva and reducing harm on the roads. After many years of rigorous research, an agreed limit of allowable alcohol and safe driving was agreed upon. Why can’t the same be done for cannabis? What’s happening in Australia, and around the world? NSW’s controversial Roadside Drug Testing scheme has come under increased scrutiny. The RDT program was first rolled out in Victoria in the early 2000’s, with tests for cannabis and methamphetamine, and a promise of increased road safety. The scheme continues to be promoted as a road-safety initiative similar to breath-testing for alcohol. Each year it costs tens of millions of dollars and leads to thousands of lost licenses. All of this would seem justifiable if each driver removed posed an increased risk on the roads. The problem is that the Securetec Drugswipe devices used by police across Australia do not distinguish between impairment and detection. And research shows that being able to detect whether or not someone uses cannabis has nothing to do with whether or not someone is currently impaired by cannabis. 3CR’s Enpsychedelia explores issues at the intersection between drugs and society. Nick Wallis from Enpsychedelia will be hosting a panel exploring this issue of incomplete science leading to expensive policy, sold on a shaky road-safety rationale. Shades of Geoffrey Robertson. Putting an panel of 10 on the spot using a hypothetical case that features many of the dilemmas and problems facing cannabis – for those who use it and those who control it. 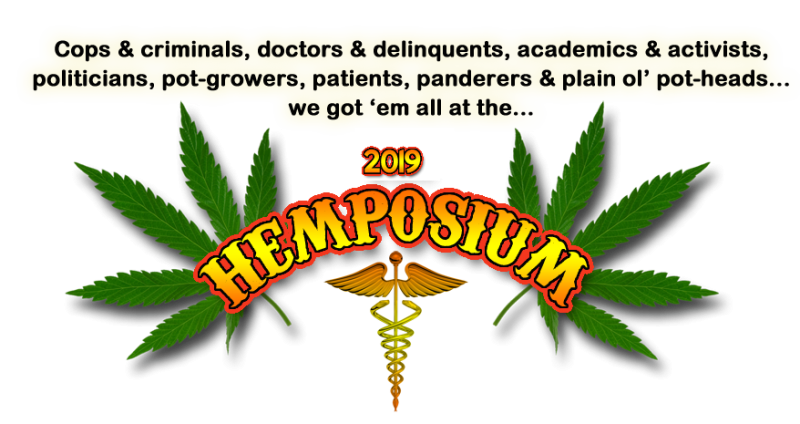 Hear what patients, politicians, growers and oil-makers of medical cannabis, and more have to say – when no preparation is allowed. 10 am – 4 pm : The Medican Community Speaks Out! 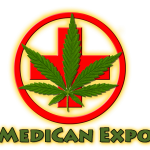 Medical Cannabis Advice, Information, Education and Demonstrations. Please drop in any time to share with local and visiting experts. Meet the medican community, and hear first hand for yourself the voices and experiences from the real world. About: Sita will explore how Aromatherapy and Cannabis work synergistically. While working as an Aromatherapist and CraniaSacral Therapist, Sita found that adding Cannabis to the formulas made them much more potent. Topic: Seizures following vaccination, can Cannabis help? About: Weedwoman, Mae Moon, discusses the next iteration of her amazing Twelve High Chicks magazine. About: Michael has an extra ordinary tale to tell re healing a massive tumour on his neck. Diagnosed with a common form of skin cancer in 2014, a squamous cell carcinoma, that progressed into his carotid artery which started to bleed out in May 2016, he was given minutes to hours to live. Put on 520mg of morphine to ease his passing however after nearly a month in hospital he was discharged but then had an opioid addiction. He researched medicinal cannabis which fixed his cancer in 5 months and it then took 7 months to get rid of his morphine addiction. Since then he’s been helping people get over serious illness with his basic knowledge of the endocannabinoid system. About: Morgan has suffered from severe Crohn’s Disease since age 12 but discovered the extraordinary power of raw cannabis juice. She would like to share her healing journey with Australians and all of humanity. About: Ray attended the 6th Harm Reduction International Conference (HR19) in Portugal the week before the 2019 Nimbin Mardi Grass. HR19 is the largest international harm reduction event, bringing together over 1,000 people from around the world working at the heart of harm reduction and drug policy. Ray will be keen to share what he learnt from the benefits of Portugal’s own decriminalisation of Cannabis and drug use;as well as the latest research and discussions from HR 19 on best practice in drug law reform , harm reduction and human rights. Panel Discussion: As the legalisation of cannabis – both medical and recreational – blooms around the globe, we need to be vigilant about the type of “legalisation” as big money starts calling the shots, and community non-profits, micro business and home growers remain criminals. What’s going on around the world? We hear from Canada, USA, The Netherlands and Australia, in this important conversation about post-prohibition economic and social justice. 10 am – 2 pm : The Medican Community Speaks Out! About: Sharing the Truth about cultivating Cannabis. Kog is the author of “Marijuana: A Grower’s Lot“. About: Please submit written questions for Dr Katelaris to: info@hempembassy.net up until Saturday 4 May. Australia manufactures very little. We mindlessly ship most things in and we ship out our resources. Yet there’s never been a greater need for people to really think about the things they’re buying. About what they’re made of and about what they’ll affect when they’re disposed of. China no longer wants our waste, so we’re being forced back to finding domestic solutions.